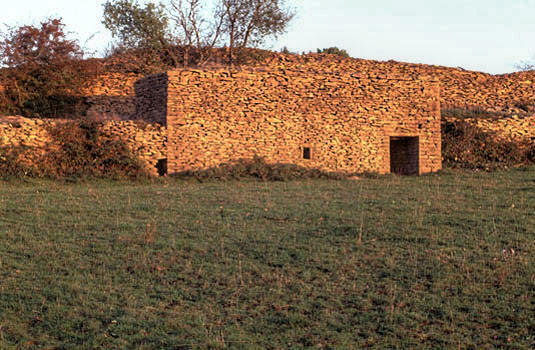 With its geometrical and austere lines, this hulking dry stone building seems to have drawn its inspiration from the rectilinear tenets of 20th-century architecture. 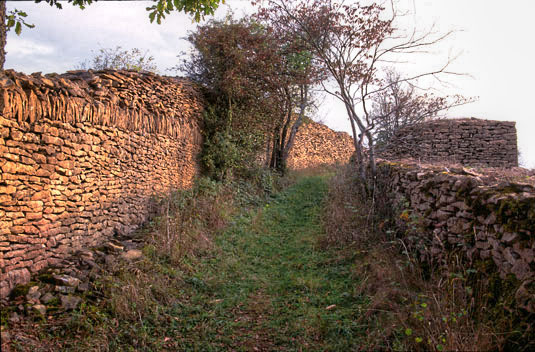 The parallelepiped-shaped edifice is built downslope from, and alongside of, a wide path which is bordered by a huge stone heap or murger above and a retaining wall below. 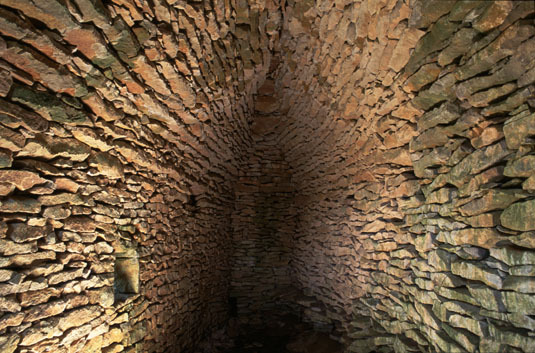 Judging from the width of its entrance and the shape of its lancet-vaulted interior, it is in all likelihood a former sheep shelter. Similar examples of this functional type can be seen in the Lot, Dordogne, Pyrénées-Orientales and Alpes-de-Haute-Provence departments. The front long side - a long stretch of quasi blank walling from one corner to another - serves as a façade. The wide entrance next to the right-hand corner is covered by a long slab. The only window is a small, man-high orifice in the middle of the façade. A levelling course of slabs runs along the flat roof. Built on a trapeze-shaped plan, the interior nave has for its vaulting two symetrically opposed corbellings in the long walls, while the end walls are vertical. 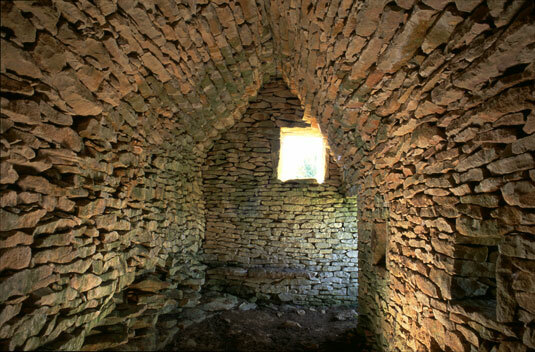 The height of the vault hints at the former presence of an intermediary floor used as a hayloft, which would explain the large window opening in the end wall next to the entrance. 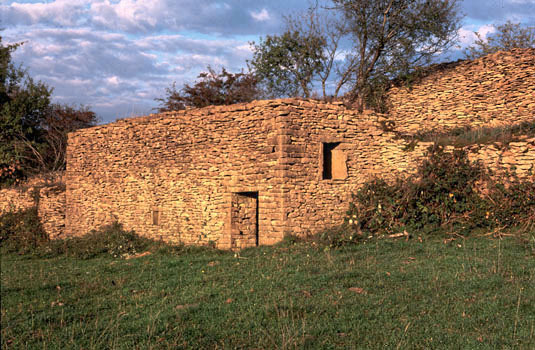 At ground level, the rear long wall rests on a rocky outcrop. Slabs projecting from the face of the larger end wall were used as seats or ledges. A niche is constructed within the front long wall, on the left as one walks in. Lastly, a slit constructed at ground level in the smaller end wall communicates with an exterior lodge abutting it..